Hello, I’m Emma Cordingley – I answer the enquiries for our family business, Gorgacce Rentals. In 1986 my parents, David and Dilys Cordingley, bought a villa on the Tuscany Umbria border, Casa Gorgacce. They offered this Tuscan villa for holiday lettings and subsequently, their Italian neighbours asked them to find guests for their properties. 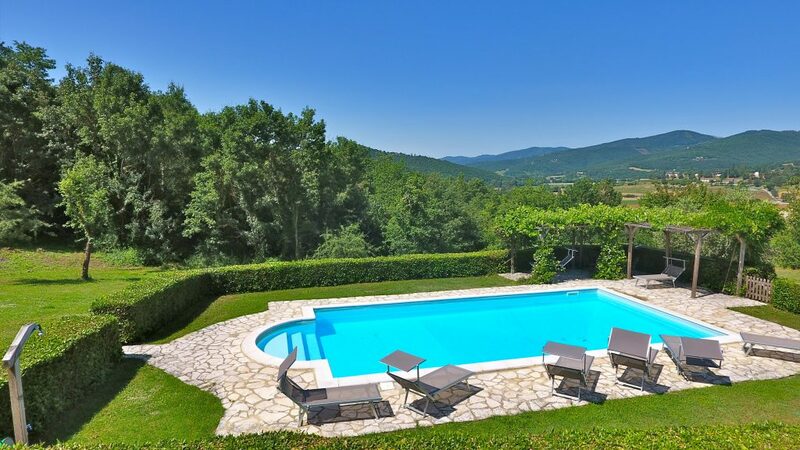 Gorgacce Rentals grew from this and now has a superb selection of large and small rental villas and holiday apartments on the border of Tuscany and Umbria, we still specialise in villa lettings in this stunning area of central Italy. In 1998, my husband Martin and I, bought a ruined farmhouse called Ca’ di Bracco, located in the beautiful Niccone Valley right on the Tuscany Umbria border. We moved here in 1999 and spent a year converting Ca’ di Bracco into a five bedroom, four bathroom holiday villa and put in a pool to make it suitable for lettings. We still live here in a converted tobacco drying tower and, since then, we have made many friends, some of whom are owners of the villas on our website. 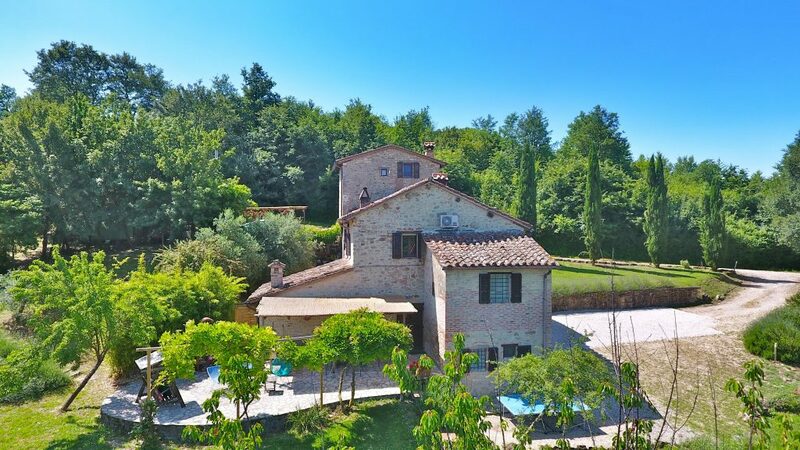 Casa Gorgacce, located in Tuscany, was bought by friends and Dilys and David bought another villa, Casa del Lupo, just over the border in Umbria. You will find the holiday villas Casa Gorgacce, Casa del Lupo and Ca’ di Bracco on our rental website along many other great vacation houses and apartments. 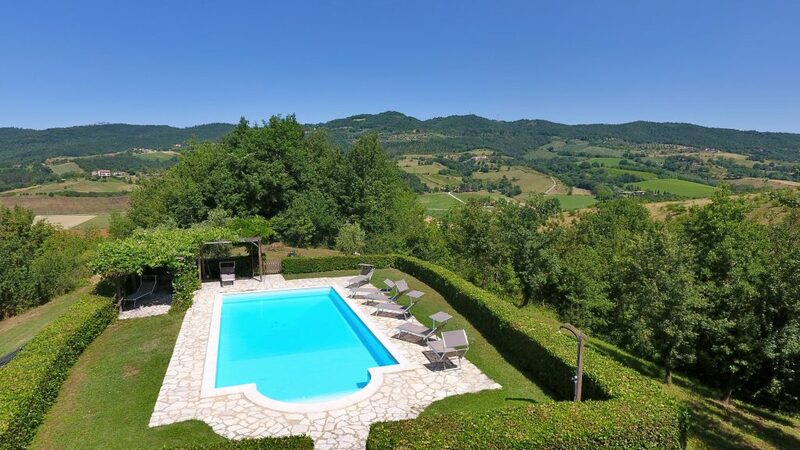 Most of our rental villas are in or near to, the beautiful Niccone Valley that straddles the Tuscany Umbria border. The Niccone Valley is dotted with the ancient castles of Reschio, Sorbello, Lisciano Niccone, Pierle and Migianella. The Niccone Valley and the Tuscany Umbria border is a fantastic place to holiday in a self catering villa. The area is in beautiful countryside, dotted with farmhouses, palazzi and classic hill top towns, as well as being near to the major artistic centres of central Italy. Cortona, an unspoilt medieval hill town with its origins in Etruscan history is close by as is Perugia, Umbria’s beautiful capital city. The Tuscan towns of Florence, Siena, Arezzo, Cortona, Montepulciano are easily reached, as are the Umbrian towns of Perugia, Assisi, Gubbio, Spoleto, Todi and Orvieto. The towns of the Upper Tiber Valley (San Sepolcro, Anghiari, Città di Castello, Montone and Umbertide) and Lake Trasimeno are also nearby. Using a rental villa on the Tuscan Umbrian border as a base, even Rome can be visited on a day trip by train.